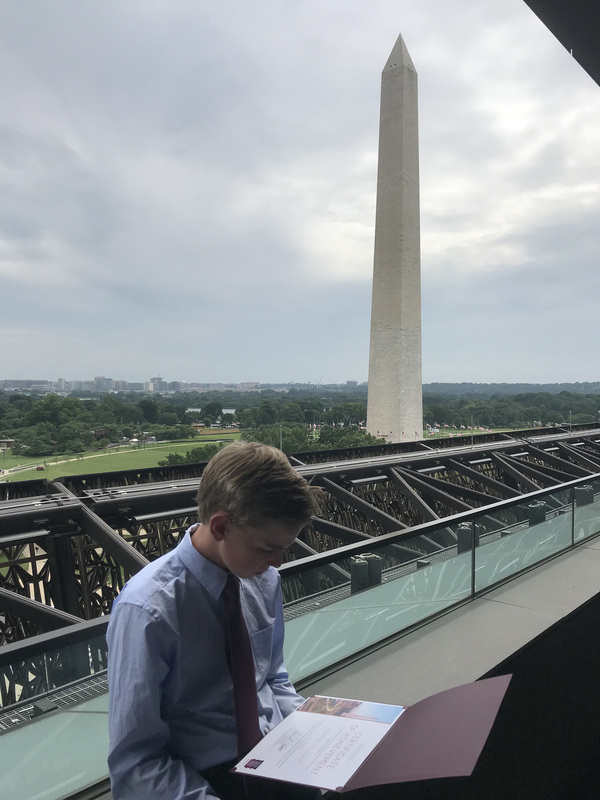 This past year, 50 Waterford Class VIII students participated in National History Day, joining 7500+ Utah students to produce a project on this year's theme. National History Day is a year-long academic program focused on historical research, interpretation and creative expression. 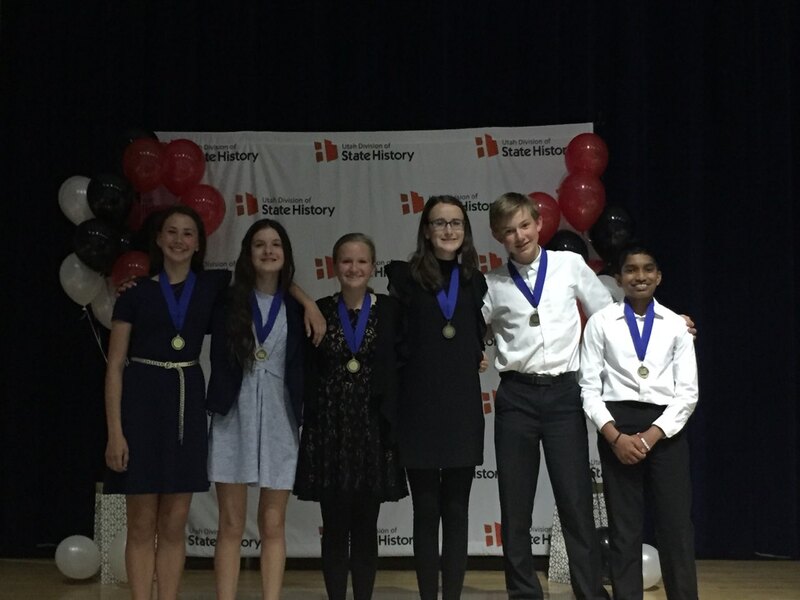 For over 30 years, National History Day has invited students in grades six through twelve to produce high quality research-based projects in which they study a specific aspect of history -- ancient to modern, European, African, and beyond -- and create a presentation examining their topic through a specific theme. This year's theme, "Conflict and Compromise," could hardly be more timely as we are witnessing conflicts at home and abroad, and the consequences of political parties, individuals, and nations being unwilling to make diplomatic compromises, while also suffering from compromised moral and legal values. Ten projects from Waterford students moved on to state, a remarkable accomplishment given the high quality of the projects in the Salt Lake region and the limited number of spots (18 total). At the state competition, seven of the ten projects received recognition. To further the accomplishment, two of our student documentaries have been selected to be shown at the National Museum of African-American History and Culture, the newest Smithsonian museum on the mall in Washington, D.C. The projects were selected because of their relevance to the issues of civil rights in America. Kasper's documentary featured the civil rights movement in Birmingham, Alabama, and Esme and Lilly focused on women's suffrage in Utah. Their documentaries were shown in the Oprah Winfrey Theater, in the National Museum of African-American History and Culture. We are so proud of all the submissions from Class VIII, and a huge thanks to Mrs. South for her guidance and sharing the accomplishments. Mrs. South also emphasized that, "this was a truly collaborative process: the students received guidance and help from faculty in English, computer science, history, and biology, beyond their work with me. They interviewed nationally-renowned historians and scientists and even contacted the founder of Pixar, in order to gain insight into their topics. They have been working since December on these projects." In addition to these fine projects, three others competed at state: Ciel Morrill produced a thoughtful and passionate documentary on women in the military; Max Korkishko had a paper on the conflicts and compromises faced by Russian immigrants to the United States; Kasper Nilsson created a magnificent documentary on the important role of the downtown retailers in Birmingham, Alabama's civil rights movement; and Hope Quarles unveiled her fascinating and well-researched website on the Treasury/Fed Accord, which freed American monetary policy from political pressure.